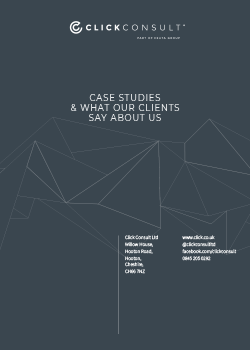 The phrase ‘A picture paints a thousand words’ is widely attributed to a Chinese proverb and highlights the fact that sometimes images are the best way to get your message across – in the case of infographics we certainly feel that’s the case. Infographics are a great way of reaching out to both new and existing audiences, with engaging content and striking visuals. Over the years we have seen much success by running these types of campaigns, a trend which continues through our work with Fire Label Merchandising, one of the UK’s leading suppliers of custom printed clothing. Their extensive range includes, but is not limited to, plain and personalised t-shirts, hoodies, polo shirts, corporate wear and outdoor wear. Following their initial contact with us, Fire Label underlined a desire to run an outreach campaign including an infographic created by our team of in-house designers. The infographic would be designed to encourage social amplification and would target interaction with bloggers in the lifestyle, fashion and family sectors. As part of the marketing strategy, we identified an opportunity to create a campaign titled ‘How to brand your team’. We knew that our experienced outreach and campaigns team could engage with the correct type of blogger and start dialogue around their experiences of branding a team or personalised clothing, depending on what was most suited for their audience. From this dialogue collaborative posts were gathered and enthusiasm to be part of the Fire Label campaign was fostered. Quotations from these posts were gathered and if the blogger wished were placed within a bespoke campaign infographic for social sharing and blog visual. As part of these collaborative discussions, we also listened to the bloggers preferences. If they wished us to support them with the visual, we would layer this with their own quotation and return it to them for their use. If they did not wish to use this we encouraged posting that was natural to their own blog style and contained a link to the Fire Label website, in keeping with the relevancy and theme of the campaign and landing page. The bloggers presented the post in a form that they considered would be more appropriate for their audience. Highly influential bloggers were identified for this campaign and a partnership approach was developed. This meant that all of the posts were natural and the bloggers own ideas formed strong material to endorse the brand. We know that the benefits of this type of strategy are that infographics are highly sharable, and encourage engagement. The personal connection that you can forge with a blogger and their audience is a very valuable one for businesses as it promotes brand awareness and trust. In order to encourage shares of both the asset and the bloggers posts on social media, to reach a wider audience, linking bloggers were asked to use either the hashtag #BrandingYourTeam or #PersonalisedStyle when talking about the campaign across social media platforms. 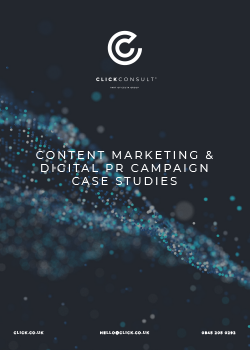 This allowed the conversation to continue and ensured that the asset, blog posts and the campaign itself all reached as wide an audience as possible. We created the visual below as part of an outreach campaign to reinforce their position as an authority on the printing, branding, design and to help increase their organic search visibility. The results of this campaign were extremely positive and the latest set of data highlights an increase for Fire Label across the board. In terms of organic and traffic levels the total visitor count was up month on month by 14.27%, whilst conversion rates rose 14.45% too. This increase in traffic and conversions has seen record highs for the website in terms of revenue with an increase of over 20% since the end of the campaign. 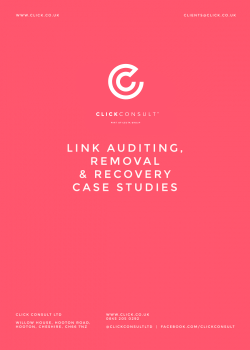 • 15 high quality backlinks were generated off the back of the campaign and the original content was placed on sites exceeding the clients’ expectations. • 304k organic impressions across social channels (these impressions are from the social posts of featured bloggers and anyone who shared their posts). • A total of 49 mentions of Fire Label (including retweets). • 95% of the conversation was picked up from females, with 5% being picked up from males. • The conversation map shows the key terms “How to brand your team”, “Team”, “Customise” and “Brand” were all in the top talked about topics for this campaign. • 62% of the reach came from accounts that had a following of between 1,000-4,999. 13% of the accounts have a following of over 5,000 and 20% of the accounts have a following of over 10,000. This shows key influences with a high following were truly engaged. • The sentiment was 98% positive overall with the rest of the mentions being neutral. • No negative sentiments were detected. • The majority of the conversation was held in the UK (72%) and 28% from the United States.